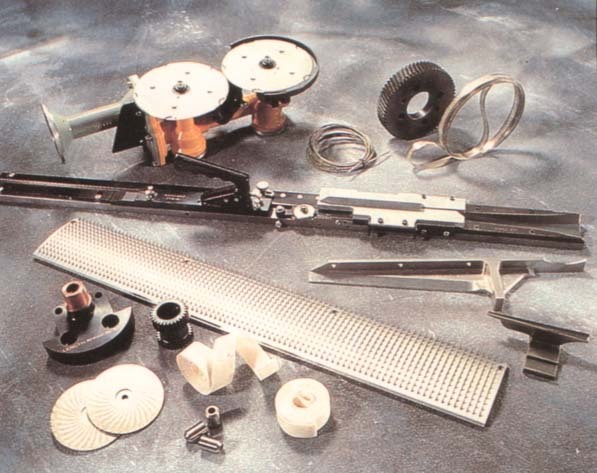 Spares and components are essential perquisites to any machine's smooth functioning. MOI Engineering Limited manufactures complete set of spares, components and sub-assemblies required in Molins 3000 cigarattes per minute making and packaging complexes and MOI's range of packaging, pharmaceutical and printing machines. With extensive in-house R&D facilities and modern machine shop, MOI can supply the required spares to its customers at a short notice and can also develop other machine parts to meet any customer specific need. Original MOI spares provide an opportunity for improved output, better product quality, reduced down time and reduced wastage. All MOI machines are supplied with machine manuals and catalogues with each component details. MOI is all geared up to meet with your spare requirements.